With a tactical saber in hand, the strongest survivor in the battle can draw on minimal resources to turn it around and win victory. 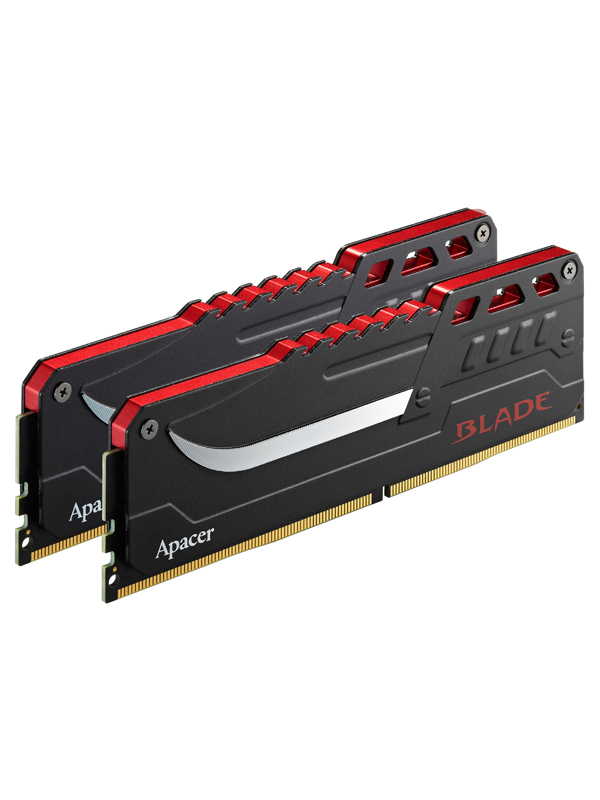 Apacer's cross-generation flagship model Blade DDR4 is definitely a catch. Blade DDR4 is compatible with Intel & AMD platforms and most of all, boasting a clock rate up to insane 4266MHz, providing unprecedented computing performance and energy-saving efficiency. It also provides diverse options from 2800MHz to 4266MHz. Blade DDR4 adopts saber-type heat spreader, which brings superior heat dissipation performance via the design such as 3D saw and Diamond High Bright Cutting blade. Besides, the weight of metal fins well shows its stability, reliability and trustworthiness. Whether in win-lose battles of eSports or fierce overclocking competitions, “BLADE” series always secure players’ victories!